We specialize in mold inspection, mold testing, and mold remediation through out Florida. We are MoldXperts. We're fully licensed, insured, and certified microbial consultants. 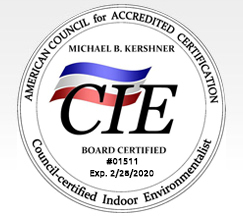 We specialize in identifying the sources of mold and mildew related problems, toxic chemicals (VOC's), formaldehyde, and other indoor air quality issues. Using state of the art technology, we can accurately determine the presence, type, and source of mold. After we complete your mold inspection and mold testing, we provide a full report with effective follow up solutions. MoldXperts provides professional indoor air quality assessments of homes, office buildings, industrial facilities, houses of worship, yachts, and more. 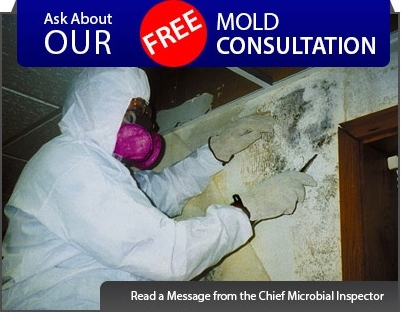 If you have any type of facility that you think may have a mold issue, we're here to help. Our mission is to make sure that we can provide our neighbors and customers with the safest air quality possible. To accomplish this, we make sure that we are always on the cutting edge, with the newest and best technology for mold inspection and testing. Breathing in interior mold can lead to many health issues such as asthma, sinusitis, respiratory problems, and more. Your safety is our number one concern, so we make sure that we're able to detect any interior mold that may be harmful to you and your family. Most Insurance Companies Cover Fees! You can find mold and mildew everywhere, like in the caulking of your shower or in the clothes that have been sitting in the washer for too long. But in reality, the most important issue is the type and extent of fungi. A residential mold inspector will personally explore every nook and cranny of your house, keeping an eye out for damp or wet conditions, low air circulation and humidity. We check inside and beneath cabinets, in the corners of the bathrooms, beneath your sinks and tubs, and anywhere else that mold tends to flourish. Mold also grows in harder to reach places such as the backside of drywall, above ceiling tiles, and below carpet, so it’s important to have a thorough mold inspection in order to find all of it. Some common areas in the home that you'll find mold are: the kitchen, HVAC units, bathroom, basement, attic, ceiling, insulation, roof leaks, and air duct areas. Yes. If indoor mold contamination is extensive, it may cause very high airborne spore exposures. People who are exposed may develop allergies to the mold, as well as other health problems. If an allergy to the mold develops, common symptoms including coughing, sneezing, shortness of breath and eye, nose or throat irritation. Other health issues that are commonly experienced include brain fog, memory problems, fatigue, cramping, and numbness. In some cases, medical attention may be required. Mold contamination often remains undetected until health symptoms appear, so mold testing and inspection is recommended to keep your loved ones healthy and safe. Additionally, mold growth can damage your home’s carpet, walls, paintings, and more. If left untreated, mold growth can eventually cause expensive structural damage to your home. How Much Does Mold Inspection Cost? The cost of mold inspection and testing can vary depending upon a few factors, including the location and size of the property. Most major insurance companies will cover the fees associated with mold inspections, mold testing, and mold remediation. Give us a call today for a free mold consultation and we’ll be happy to give you a quote and answer any questions or concerns that you may have. At MoldXperts, we use state of the art tools in order to find Mold before it destroys your home, commercial site, building or yacht. Our team is highly skilled in finding the source of any mold and other IAQ problems. After proper Mold Remediation is done we re-test to ensure that mold is at an acceptable level. Our technicians are well trained, qualified and certified to undertake any kind of mold problem in your home or business. It is important to work with a reputable and experienced company that always follows guidelines when dealing with mold. We are currently serving the following areas: 33441, 33442, 33433, 33428, 33067 and 33445. Copyright 2019 MoldXperts. All rights reserved.